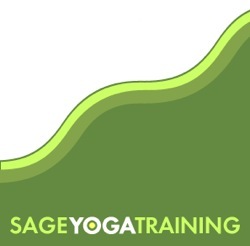 The Sage Yoga Training podcast leads you through a short yoga routine after your workout (or anytime). They are slideshows with real-time cuing—you can use the pictures as reference and trust that I have measured out the holds so they are even in time. Be sure, though, that things feel even in your body. That’s what the pause button is for! You can watch in the YouTube window below, or click the separate titles underneath the viewer to open a window with a slideshow. Hovering over the bottom bar on the video player and clicking Playlist will allow you to scroll through the episodes. For more detail on each episode, visit my YouTube page. If you’d like to download copies of the podcasts, you can find them on iTunes.